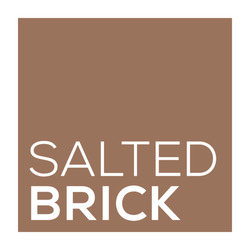 Salted Brick - Salted Brick re-creates regional favorites as well as classic American cuisine using locally-sourced ingredients. The restaurant features a centerpiece exhibition kitchen and a wood-fired oven. Mesa De Notte - Catering, (Professional catering) Fresh made from scratch food, Italian is our specialty, however we can also prepare BBQ, Spanish/Latin food, traditional American favorites and country style. From 10 people to 500 plus, delivery to fully plated dinners. Tony's Sushi - Tony's is a Japanese Steakhouse serving traditional Japanese cuisine. It is a staple amongst local residents, always serving fresh, enjoyable food. "Tony's Sushi extends a warm welcome to HITS coming back to Ocala!" Brick City Southern Kitchen - Brick City Southern Kitchen & Whiskey Bar is a premier southern dining, BBQ and whiskey bar. As part of the award winning Mojo BBQ restaurant family located in Jacksonville, Gainesville and St. Augustine, we feature fresh seafood, steaks, southern comfort dishes and top of the line BBQ meats, along with made from scratch sides, sauces and dressings. Our whiskey bar features over 300 different whiskeys from all of the world, in addition to our fresh made craft specialty drinks. We are located in the heart of downtown Ocala at 10 South Magnolia Avenue. You can dine in, take out or have us cater any event small or large. Cody's Original Roadhouse - You’ll only need to look around Cody’s to see why, “Original,” is our middle name. You’ll enter an era gone by, when things were simpler, more casual and definitely more relaxed. Tubs of roasted peanuts are available throughout for snackin’, crackin’ and throwin’ on the floor. You’ll enjoy Cody’s Fresh, Hand-Cut, Flame Broiled, USDA Choice Steaks, Prime Rib, Rotisserie Chicken, BBQ Pork Baby Back Ribs, Fresh Fish, Burgers, Fajitas and more. At Cody’s, we’re proud of our expert cooking skills and we’ve put the grill front and center for your viewing. Chefs of Napoli - One of Florida's best kept secrets, you'll find authentic Italian cuisine created by two chefs who are also Italian immigrants. With three flourishing locations to choose from, you will not be disappointed. Mojo Grill and Catering Co. - The first thing you will notice when you walk into the Mojo Grill is the Southern-style hospitality with cajun creole flavor and cuban flare in the food. With the sweet sounds of the Blues in the air and the decor straight from a Mississippi delta eatery where the walls are adorned with bright colored artwork featuring Blues legends and various instruments. Our dimmed lighting is enough to give you a cozy feel to help you relax and leave your troubles at the door! So ya'll come in and sit for a spell, enjoy some good food and some good drink. Enjoy those you are with and most importantly, enjoy your time spent! Marco's Pizza is ranked as the #1 Pizza Chain by Entrepreneur Magazine and voted as America's Favorite Pizza. Our pizza dough is made from scratch in the restaurant, topped with a real three-blend cheese, signature sauce and a wide selection of delicious toppings. Marco's Pizza on Blitchton Rd (Highway 27) is a beautifully renovated restaurant that offers dine-in, carry-out, delivery and catering. Dine-in customers can enjoy sports and shows on the large TV screens, watch the crew toss the pizza in the air through a 15 feet kitchen window, and crack open a cold beer or sip on a glass of wine. Our friendly staff strives to give you the best customer satisfaction whether you are coming in for a birthday party or ordering delivery! Crazy Foods - This group of restaurants serves a variety of food and includes three restaurants; The Crazy Cucumber, The Horse & Hounds, and Swampy's.